So what did I do…..you got it…after the morning routine helping out with the breakfast for five….it was off continuing another protest-not mentioned to date in this blog-NOT ANOTHER ONE, YOU SAY! Yes, this situation is in front of the inn, not in the back, and is just as blatant….the Innovations@Crystal Rose hotel next door reopened and erected a big new signboard too close to the road and too close to the lane. Thus, it blocks the vision of drivers turning left onto the busy Melcom Road, a.k.a. Old Bekwai Road. I started the complaint on December 27th. How has it been handled? What’s that ‘A’ word. YOU GOT IT AVOIDANCE. Phone calls, visits to the Nhyiaeso Sub Metro, letters…..nothing gets any action. Here’s the latest of three letters written to Richard, the advertising officer. In follow-up to my two letters dated 29-12-2010 and 12-01-2010, once again, I would like to draw your attention to the dangerous situation presented by the above named signboard. It is too close to the main road and it is too close to the lane thus blocking the vision of vehicles making a left turn onto the busy Melcom Road. I request that the sign be moved forward closer to the entrance to Innovations @ Crystal Rose and back in line with the Four Villages Inn sign which presents no obstruction to drivers turning onto Melcom Road. I make this request in light of the fact that Four Villages Inn pays an annual signboard fee-see for 2010- to locate our business in front of our premises, This fee is paid on top of the Business Operating License. 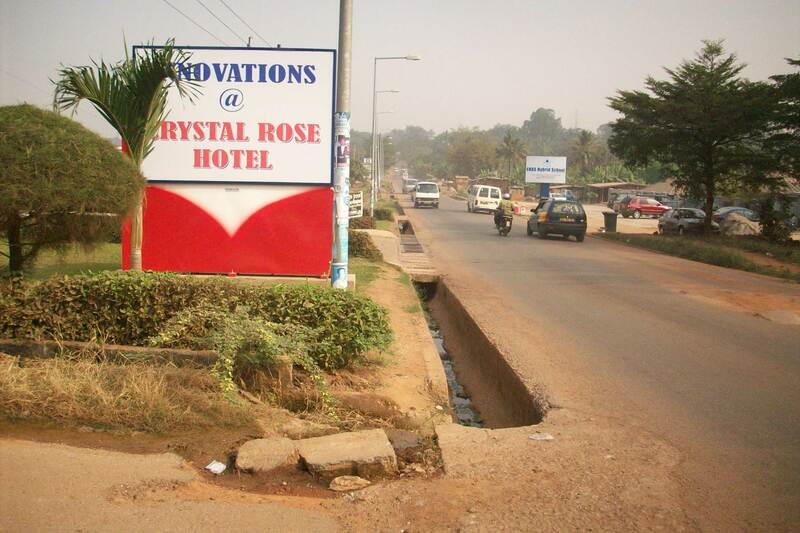 Incidentally, and this is not the point, our signboard is blocked by that same Innovations @ Crystal Rose signboard. Since the dangerous nature of the Innovations sign has failed to move you, I introduce this second reason to move the Innovations signboard. I pray that you will act in the best interests of the safety of the general public and those looking for Four Villages Inn. c.c. Mr. Ekow Sampson, Regional Manager, G.T.B. FIZZLE, FIZZLE…..guess it will take an accident for the signboard to be moved or maybe a hefty incentive……. 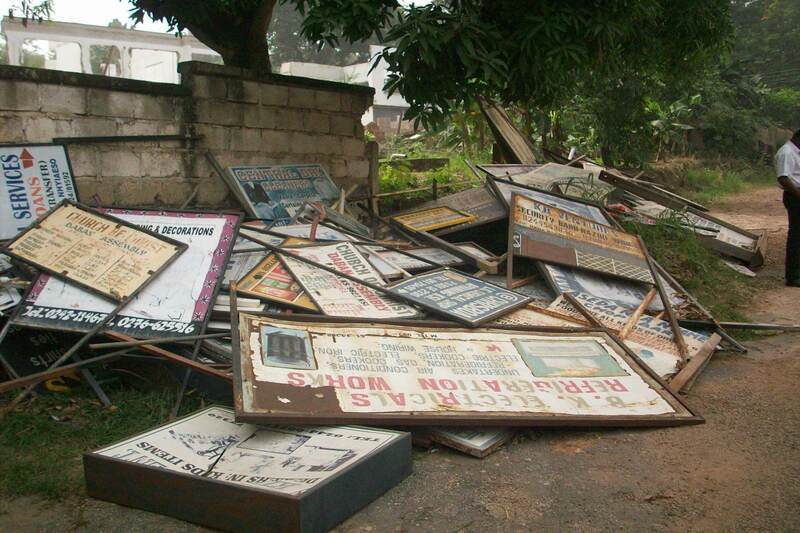 But hey, don’t get me wrong…there is action, but only when businesses don’t pay their yearly signboard fee!